Hon. Taiwo Fatiregun who recently defected from the ruling All Progressives Congress, APC to the Action Democratic Party, ADP, was allegedly attacked by political thugs said to be his subordinates who felt aggrieved by his defection. 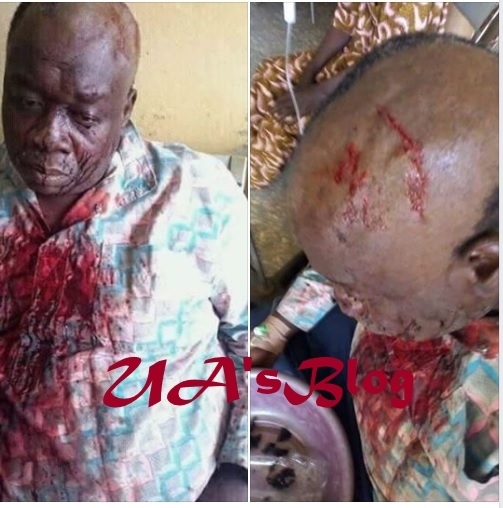 The former APC caretaker chairman in Oriade Local Government area of Osun State – was beaten mericlessly by the yet-to-be identified attackers who fled after breaking his head. Hon. Taiwo Fatiregun currently receiving treatment at an undisclosed hospital.